Rebecca South is the Founder of Families’ Bridge to Caring Hands. Rebecca received her B.S.N. from Baylor University, Waco, Texas. Rebecca has been a NICU nurse for 24+ years and is currently working as a Clinical Nurse III at Texas Health Resource Plano Hospital in the NICU. Rebecca has served as the Project Manager for National Association of Neonatal Nurses (NANN), Baby Steps to Home: Discharge Pathway since 2012. She received the NANN Robyn Main Excellence for Clinical Practice award in 2016. Rebecca serves as founding President of NANN’s Collin County Texas Area Chapter – CCTANN in 2017. Rebecca was elected to the NANN Board of Directors, as the Staff Nurse Director-at-Large for 2018-2020. Rebecca established Families’ Bridge to Caring Hands to help parents transition between the hospitals’ High-Risk OB (Antepartum) and NICU units. Nurses from both departments pair up to provide clinical resources, support and anticipatory guidance to parents coping with the stress of a high-risk pregnancy, and a baby who may need specialized medical attention in the NICU. Rebecca has found that the program helps engage family members with the care team early on to be better-informed advocates for their baby upon admission to the NICU. 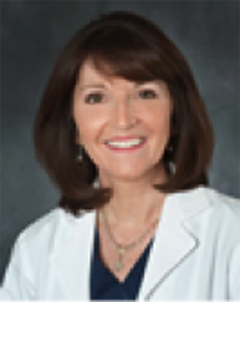 Veronica Schaedler has 35 years experience in Women’s and Children’s services and has presented breastfeeding workshops and other maternal/child educational programs to hospital and community-based health professionals throughout the United States since 2002. She holds a BSN from Grand Canyon University and an RN from Beth Israel School of Nursing. Veronica implemented the Lactation Services Program at Texas Health Presbyterian Plano in 1997, and has supervised the program since its inception, including inpatient and outpatient services, and a resource store for nursing mothers. Susan Goddard received her BSN from Adelphi University and her MBA from National University. She brings over 40 years of nursing experience in NICU, Delivery Team and Pediatric Peri-operative Nursing to the Families Bridge team including, certification in Evidence Based Practice from Texas Christian University. Fulfilling an integral role as a member of the NICU High Risk Delivery Team, Susan met with and helped prepare, antepartum families for a potential NICU delivery. Susan’s career experience includes Management of a NICU/Nursery, Clinical Educator and Assistant VP of Nursing with a national healthcare recruitment company. Throughout her career she has been an innovator helping to integrate and teach new techniques for the NICU including: development of a Peri-Operative preparation tool for staff RN’s, project leader-development of E.H.R. (EPIC) for 7 system NICU’s. Among her many honors: first Level VI Advanced Program Nurse at Texas Health Resource, DFW Top 100 Nurses 2010, and Nominated a THP Magnet RN of the Year 2014.